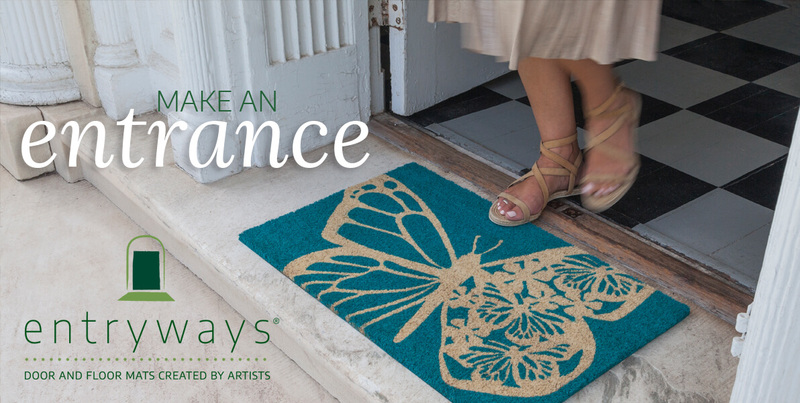 Entryways is an importer of quality, uniquely designed doormats and floormats made from a variety of eco-friendly materials. Known for the successful combination of bright colors, classic designs and interesting graphics, Entryways offers an excellent quality product paired with outstanding customer service. Our extensive wholesale client base consists of many types of retailers such as garden centers, hardware stores, gift stores and gift boutiques, mail order catalogs, online stores and grocery chains. Our mats are the perfect merchandise for any retail space that is committed to offering unique high quality outdoor décor to its clientele. If you have a retail establishment, catalog or Internet store, and would like to get more information about our products, please contact us to receive information. For placing orders, please contact us with your order or for our latest catalog and price list. If you are an exporter and you would like to do business with us, please contact us.